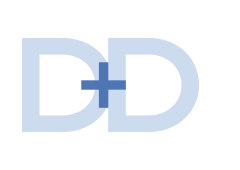 BOSTON, MA—An asbestos abatement company and its owner have been charged with paying employees off the books in order to defraud a union and dodge taxes, according to federal authorities. 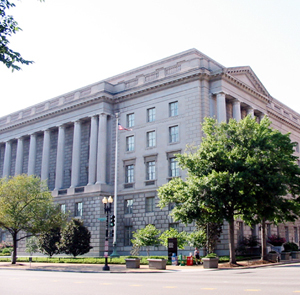 Ronald P. Mulcahey, 53, of Andover, MA, and Wing Environmental Inc., based in Woburn, MA, paid employees $723,607 in cash between 2008 and 2011 in an attempt to avoid employment taxes and payments to a union pension fund, the U.S. Attorney’s Office reported May 6. 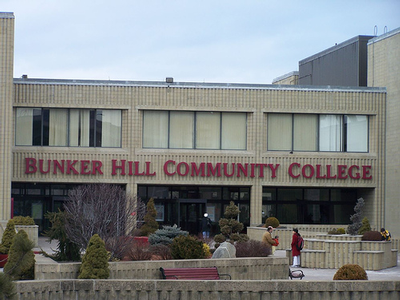 Wing Environmental Inc. has completed asbestos removal and fireproofing projects at universities, airports, hospitals and office buildings throughout the East Coast, including Bunker Hill Community College in Boston. Allegations against Mulcahey and his company include theft from employee benefit plans subject to the provisions of Title I of the Employee Retirement Income Security Act of 1974 (ERISA) and lying in documents submitted to benefit plans subject to ERISA. Mulcahey was also charged with tax evasion. Founded in 2001, Wing Environmental provides environmental remediation services, including asbestos abatement and fireproofing, to airports, hospitals, universities, commercial and residential facilities throughout the East Coast. Mulcahey has over 20 years of experience in the management and ownership of environmental remediation and subcontracting companies, according to the company’s website. The company did not respond Monday (May 18) to a request for comment on the case. According to the indictment, Mulcahey was the owner and sole corporate officer of three companies: Wing Inc. Specialty Trades, EWT-Fireproofing Inc., and Wing Environmental Inc. 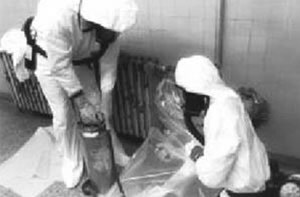 In the U.S., there are strict asbestos removal and disposal regulations. 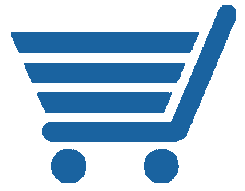 Wing Environmental is a union company that provides asbestos abatement and demolition services. It has a collective bargaining agreement with the Laborer’s International Union of North America Local 1421, according to the prosecutors. As a union employer, Wing Environmental must accurately report to the union benefit funds the number of hours worked by its union employees and to make the corresponding contributions to the funds. Union benefit funds are used to provide healthcare, pensions and other services to union members. The indictment alleges that, between January 2008 and June 2011, Mulcahey and Wing Environmental paid some employees in cash, thus underreporting their hours to avoid making the required hourly payments to the benefit funds. Wing Specialty Trades and EWT-Fireproofing were non-union companies that provided asbestos abatement, demolition and fireproofing services. All of Mulcahey’s companies were required by federal tax law to accurately report their total payments to employees and to withhold and pay to the IRS the applicable employment and income taxes based on those payments. By keeping cash payments off the books, Mulcahey avoided paying employment taxes on the unreported wages, according to prosecutors. Between January 2008 and June 2011, Mulcahey defrauded the IRS by paying certain employees of all three of his companies in cash, authorities said. By keeping the cash payments off the books, he was able to underreport his workers’ wages to the IRS and avoid paying employment taxes, the prosecutors said. Each charge carries a sentence of up to five years in prison and three years of supervised release, the prosecutors note. The ERISA charges carry a fine of up to $250,000; the tax charges, up to $100,000. The case is being prosecuted by Assistant U.S. Attorney Kristina E. Barclay of U.S. Attorney for the District of Massachusetts Carmen M. Ortiz’s Public Corruption Unit. The case provides an example of the widespread, illegal practice of wage theft. Such practices have reached “epidemic levels” within the Massachusetts residential building community and are becoming a new model for business, according a new study. The practice has become so common that it is threatening the economic viability of legitimate contractors who follow the law, according to The Epidemic of Wage Theft in Residential Construction in Massachusetts, written by researchers from the University of Massachusetts Amherst.